Featuring a plain website and no live chat option, ResumeWriters.com seems to have done very little since their establishment back in 1999. With such a long experience on the writing market, we expected to see an optimized website and excellent customer service, since these are some of the key factors for ranking high in reviews. However, our ResumeWriters.com review is based on several other features, all of which are discussed below. Generally speaking, Resume Writers com focuses on resume writing. The only other type of content offered is cover letters. 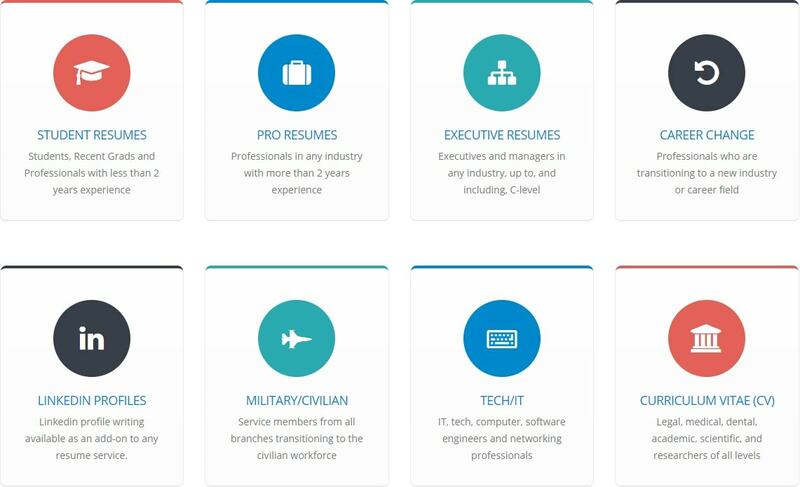 If you check their Services page, you will learn that the company offers a wide range of resume services such as student, professional, career change, military/civilian, tech/IT, and executive resume services. In addition to this, you can pay to get your LinkedIn profile set and order cover letter writing. This range is not good enough to make a perfect choice for your career needs. Seeing how long the company has been on the market made us believe we will find a variety of other services here, such as job board postings, thank you letters, or at least follow-up letters. However, none of these are to be found on the Services page of ResumeWriters. If you take a look at the company’s prices, you will find eight packages. These packages differ in pricing and features, but the turnaround standard is 72 for them all. Of course, if you choose the highest paid option, you can get a turnaround time of 24 hours, but this package costs a fortune – $249.95 for a resume, cover letter and LinkedIn profile setup only! 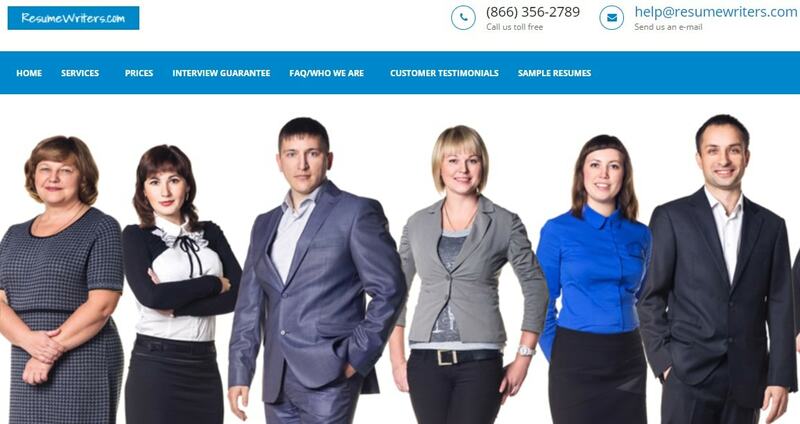 As other ResumeWriters.com reviews suggest, this is a high priced company considering the limited range of services they offer. The good news is that returning customers can enjoy reduced prices. There isn’t a set discount on the website, but the creators mentioned that you can order more resumes for half the price you paid the first time. However, we noticed that in order to be a ‘returning customer’, you need to pay for an upgrade. The cost for this is ridiculous since customers are requested to pay extra $100 to get the 50% discount. We were a bit disappointed by the quality of service. This is a company that has been providing resume writing services for decades now, which would require hiring the best experts and setting the pricing and discounts according to the target customers’ budget. With this service, none of the two is true. The package we purchased turned out to be worth half the price we paid since we even found mistakes in our cover letter! For such a high rate, we expected much more from the service. The company’s guarantees were the most disappointing part of our evaluation. Resumewriters.com has an interview guarantee, but this is not a refund guarantee. Actually, if you do not get an interview in 60 days, you get a rewrite from the company. However, considering that they have prices for returning customers, you are actually paying for this revision! Even if the price is half the originally paid quote, this guarantee is a terrible one. The support service is solid and the agents responded to our call on the phone number almost immediately. However, they have working hours, which means that you cannot always reach the service. You can also use the e-mail, but this option does not work. We did not get any response to the e-mail whatsoever. All things considered, resumewriters.com is a legit service that has been providing resumes to customers for decades. Unfortunately, this does not make it a good choice for your resume requirements. We cannot vouch for the service because of their high prices, limited services, fake guarantees and somewhat unavailable customer support service. Most importantly, we were unsatisfied with the offered quality. Despite the many promises of the company, the quality of resumes here is below average, which makes us believe that this isn’t the right service for you. I wish I looked into the company before I ordered from them. Almost all ResumeWriters com reviews online are negative, and if I did look at them, I wouldn’t spend this amount of money. I cannot recommend this company to others because they deliver bad resumes, have bad prices and a terrible, terrible customer service!